Lunch at Green Elephant. All photos by Kate Donnelly. 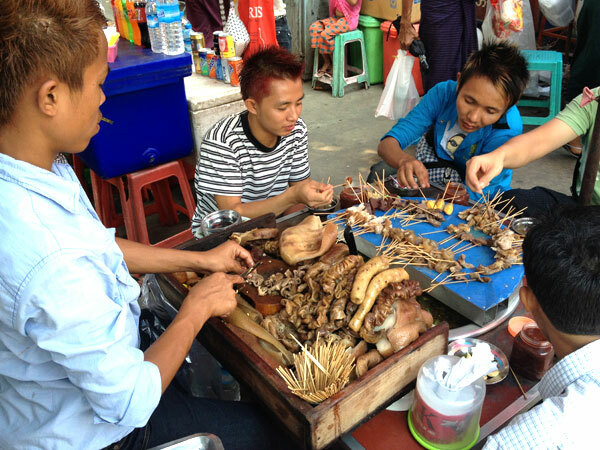 With so much food delicious and interesting food in Burma, it would take a year to taste it all. Kate Donnelly had a week and came pretty close. MYANMAR – I spent a week in Burma and saw many interesting things. But, as usual, I was probably most interested by what was on the table in front of me. The food in Burma is a welcome melting pot of flavors and spices, a bold adventure of hot, sour, and sweet mixed with poppy surprises of Indian spices, chile powder, shallots, edible tea leaves, crisp-fried garlic, roasted peanuts, and tangy lime. The result is a burst of flavor balance and uniqueness in every bite. You don't come to Burma for fancy, five-star cuisine or trendy decor. You're here to discover the flavors of a country that's been in darkness to the outside world for a long time. Savour the journey. 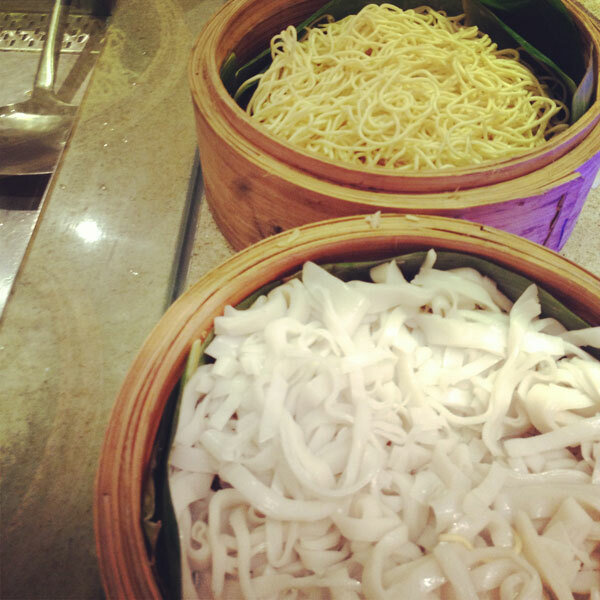 Breakfast is usually a delicious, comforting bowl of noodles. (The other time you'll see them is as a light snack during the day.) 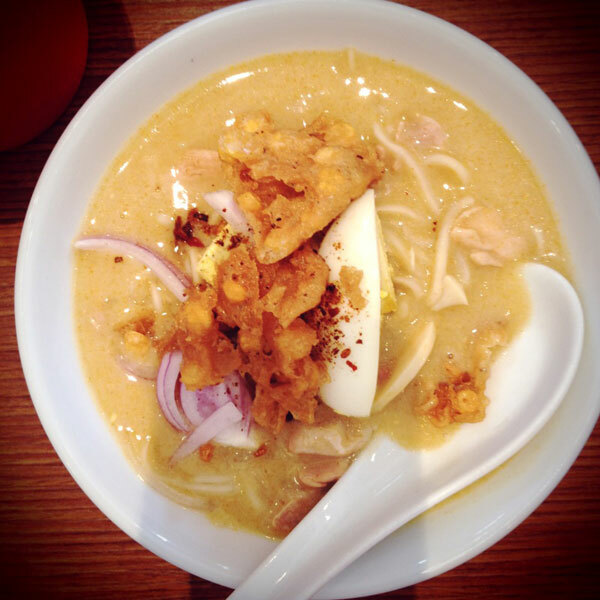 Burmese chicken soup (ohn-no-khauk swe) is made with coconut milk broth, shredded chicken, and egg noodles. Squeeze lime juice for a refreshing pop of sweet citrus flavor. Slowly sip the rich, black, Indian-style Myanmar tea (lah phet yay) with a dollop of sweetened condensed milk. It's an acquired taste, but the smoky sweetness is mellow and refreshing. Tea is not only for drinking. In ceremony or a special occasion, such as the welcome I received, laphet (pickled tea) is served. (If you attempt to find the proper spelling, you'll be confused by all the variations, like laphet thoke and lephet thote.) The ritual is simple: Tea leaves are dried, pickled, and steamed, then served in a round, shallow bowl called a lappet ohm, surrounded by fried garlic, roasted peanuts, dry fish and shrimp, fried coconut pieces, and rice. It's like a dry salad with a slight crunch evoking every taste sensation from sour and bitter to slightly sweet and salty. Myanmar has its own wine, Red Mountain, which is produced in the southern part of the region called Inle Lake. It's still in experimental phases and it won't blow your mind. 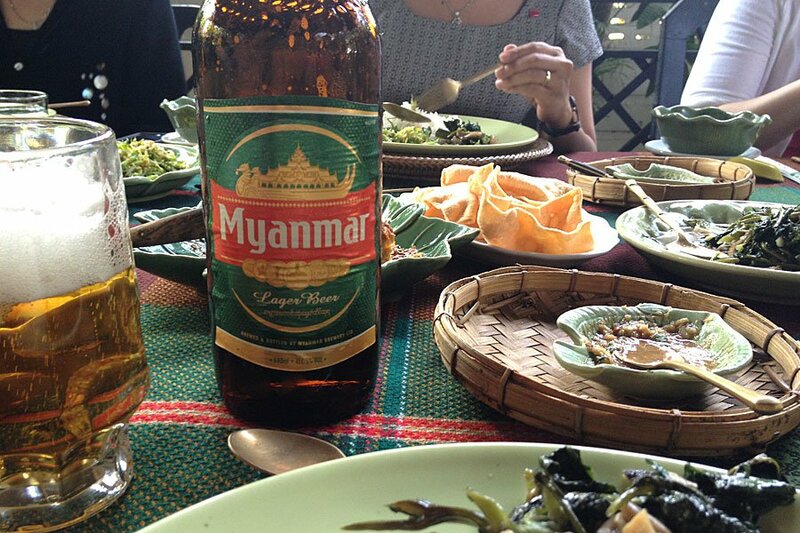 But, let's be honest, how many people can say they've sipped a glass of Myanmar wine? The outpost of Green Elephant at 33 Thirimingalar Lane (Attia Road) in Kamayut Township is housed in a colonial mansion. 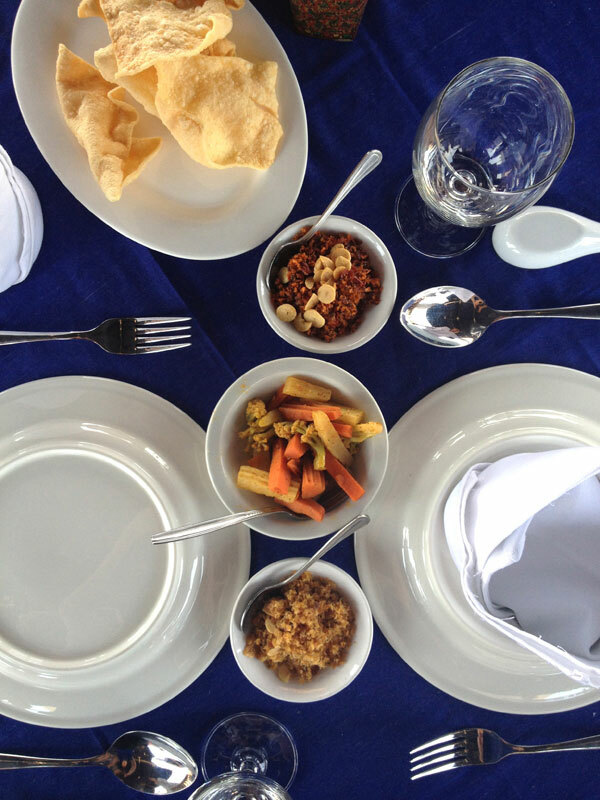 Sit in the garden under a canopy and order local delectables like coconut rice, pork with red curry paste, lophet thake, and lentil soup. 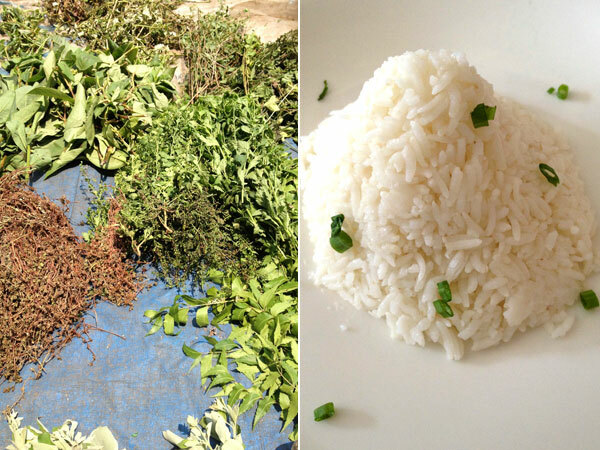 You'll quickly note that rice (t'ămìn) is served with every meal. It's at the forefront of the national diet. It's substance over style at seafood restaurant Min Lann in Kamayut Township, a local favorite. 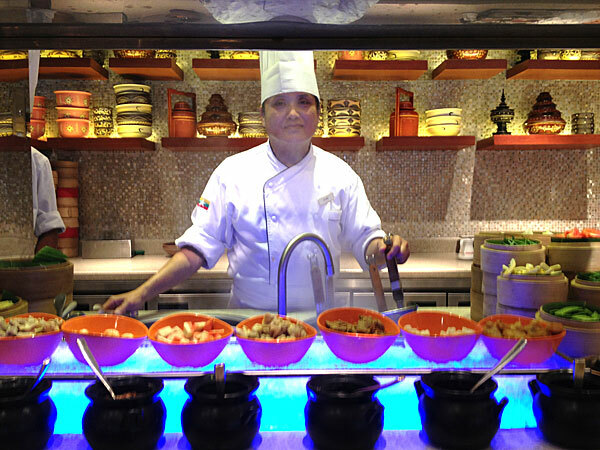 They serve lobster, fried soft shell crab, and tiger prawns prepared Rakhine-style on an open-flame grill. The spicy rice is, well, spicy! Those wary of heat and those who are not adventurous eaters should beware: The fresh green chili sauce is blazing, if easily quenched by local Myanmar suds. 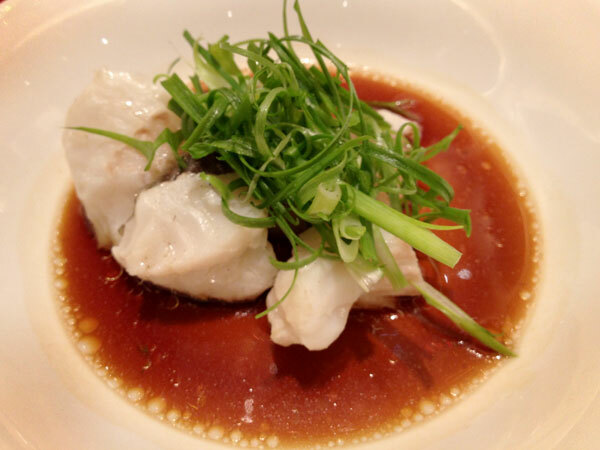 The gourmet chef's special combination dinner at The Summer Palace at the Traders Hotel is a treat. Special mention goes to steamed live red grouper with superior soya sauce and wok-friend waygu beef cube with garlic and asparagus. This is a perfect place to sample Burma's Red Mountain wine. Otherwise, a glass of sauvingon blanc nicely offsets the rich sauces. A meal at the airy German-owned Monsoon is a must. Order ngar kyaw hnut (fried freshwater fish with crispy onions) and pazunhtok sebyan (king prawns in a rich tomato curry sauce). Equally awesome and refreshing is the Vietmanese dish pai nung manao' — steamed whole fish with garlic and lime sauce. 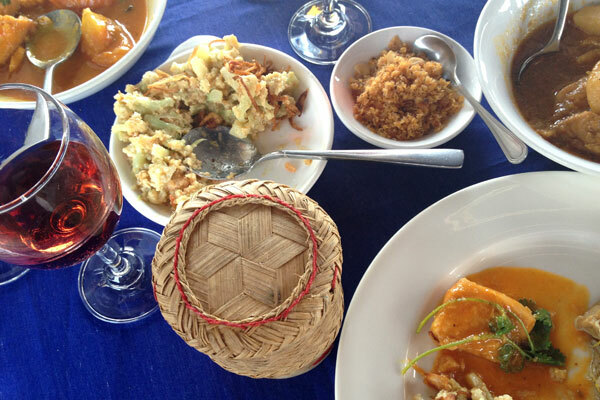 Thai and Cambodian fare are also offered, further proof that around here the influences are varied and profound. Myanmar backs up to India, Laos, and Thailand, and there's a cohesive blending of cultures and cuisines in this part of the world. While you're here, go upstairs to the well-curated, charming, fair-trade boutique Pomelo to see the work of local artists, many of whom are disadvantaged (HIV-positive, street kids, mentally and physically disabled, impoverished). Load up on souvenirs that range from adorable cloth elephants and hand-blown glass to bright handwoven scarves and ikat longyis, the national garb. Take a lunch cruise aboard the charming, friendly Dora River Cruise to sample local food and wine as Yangon's waterways, fishing villages, and bustling landscape float by. Western palates in need of a break from Asian cuisine should head to boisterous Trader's Café, which caters to all varieties of global taste from French and Japanese to Chinese and Indian. 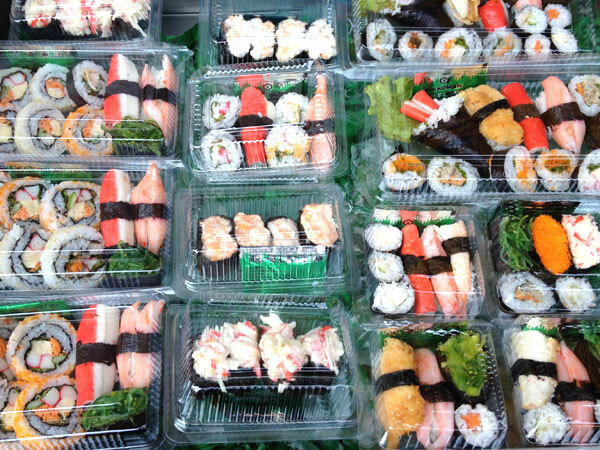 Shout-out to the rich noodle soups and mouth-watering fresh sashimi. 50th Street Bar and Grill, located in a 100-year-old building, is where football (which is to say soccer) aficionados and expats head for bloody Marys, cold beer, pizza (yes, pizza), and darts. The warm, clubby Gallery Bar at Trader's is perfect for a proper cocktail or a splash of whiskey. Unwind at the The Kipling Bar at the Governor's Residence, a relaxing, tropical milieu that serves refreshing cocktails. The romantic Le Planteur serves French and Asian fusion. 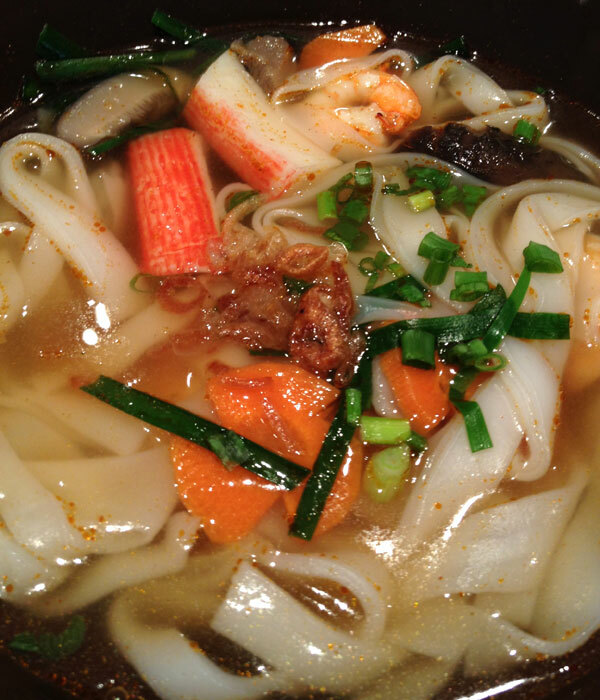 999 Shan Noodle Soup is a great hole-in-the-wall for breakfast or lunch. 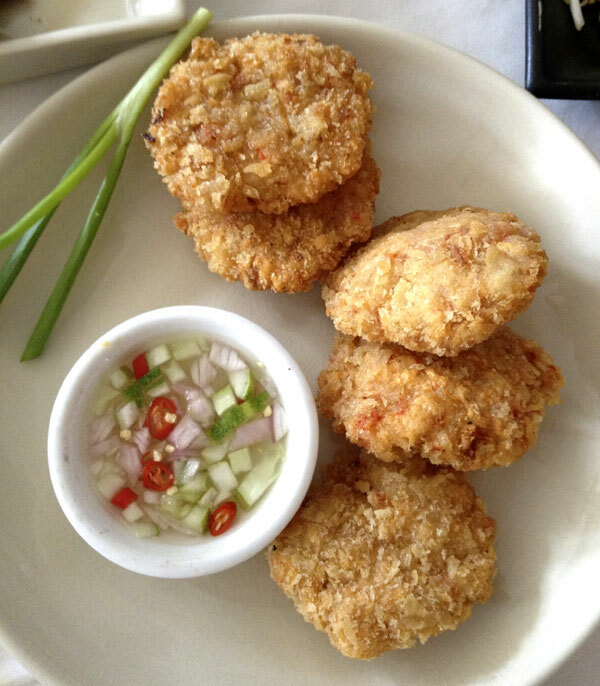 Padonmar (105/107 Kha-yae-pin Road) uses natural ingredients and set menus and is located ina house built in the 1920s.